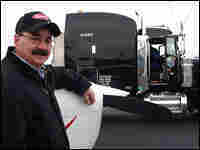 Murder-Mystery Audiobooks Keep Trucker Awake For long-haul trucker Steve Brosnan, there's nothing like a murder mystery on audiobook to help him escape the monotony of the road. For a new series, "Roadside Reviews," Brosnan gives his take on selections by Patricia Cornwell and Kathy Reichs. Steve Brosnan, who has been on the road for more than 30 years, is a fan of murder mysteries. Nicknamed "Flyboy," he's also an avid pilot. Steve Brosnan doesn't take the highway to get to his job. The highway is his job. 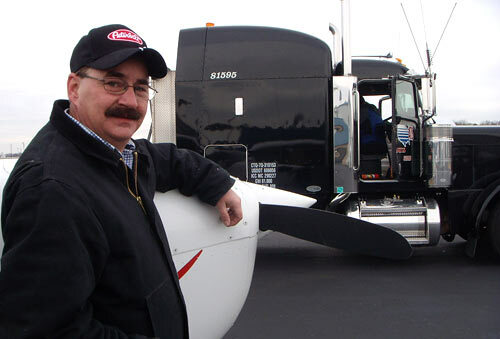 He's a trucker — and that means long, solitary hours on the road. So when he climbs into his cab and faces down the horizon, he leans over to the stereo and pops in a book. And he's not alone. There's a thriving business in audiobook rentals at truck stops across the country. This summer, for a series called "Roadside Reviews," truckers will offer their recommendations of the best and worst books for listening. Brosnan was hauling huge blades for wind power generators in Shelby, Mont., when Andrea Seabrook spoke to him. "It gets a little boring out here sometimes," he says. "On the long Montana straight stretches, it's nice to put that in and just escape into the book." And for Brosnan, there's no better escape than a good murder mystery. "I like a lot of whodunits and the forensics and some of the science of these books," he says. 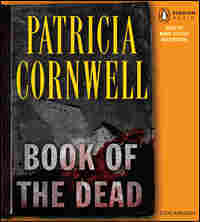 Brosnan is a big fan of Patricia Cornwell, the best-selling crime writer. 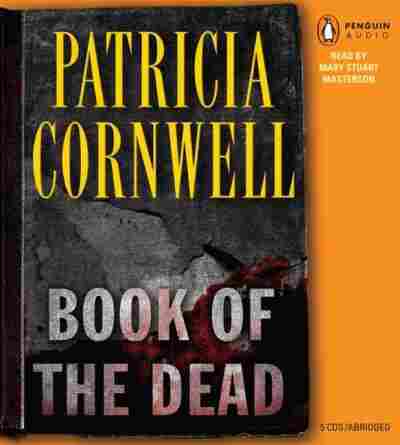 He particularly enjoyed the audiobook for Book of the Dead, one of the author's Kay Scarpetta mystery series, narrated by the actress Mary Stuart Masterson. "It was pretty intense," he says. "A couple of discs, you kind of looked over your shoulder and wished you could get back in the cab and finish it off and listen to it," Brosnan says. "It kept you." 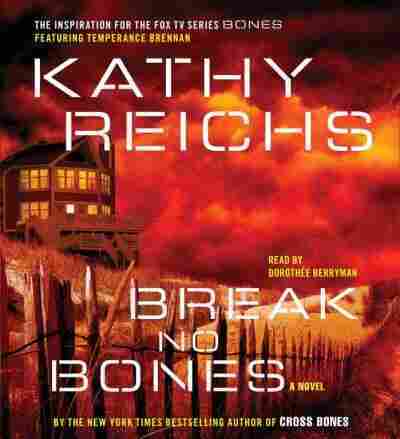 He also likes the books of Kathy Reichs — whose works have been adapted for Fox's TV series Bones. 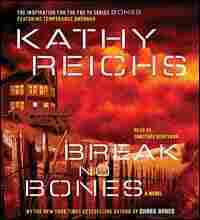 But he wouldn't recommend Reichs' audiobook, Break No Bones, read by Dorothee Berryman. "It's a little boring for my taste," he says. "I need to be kept interested, and I don't want to be bored with a boring book. This one bored me." For example, a scene describing forensic anthropologist Temperance Brennan's dinner was just too slow for Brosnan's taste. "I guess between her voice, to me it was just a little too monotone," Brosnan says. "I'm not interested in her key lime pie for dinner. That's not why I got the book."